His affinity for oddity is well-known from his strange dances, the tea parties he holds in honor of other people’s unbirthdays, and the talking rodents that he considers his dearest friends. So if your child wants to take a break from the status quo and do things a bit differently for a change, you’re looking at the perfect off-kilter role model! 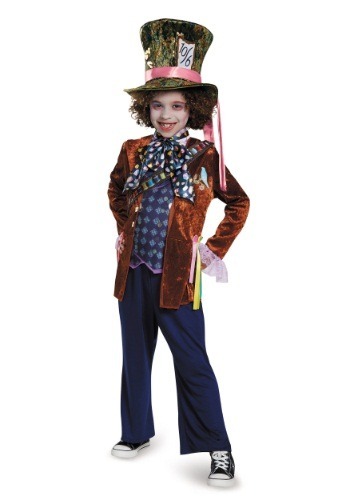 And this official Child Mad Hatter Costume from Through The Looking Glass captures the brilliant battiness of Disney’s take on the classic character in a detailed yet convenient outfit combo. From the printed bandolier of spools to the lacy lavender cuffs, it’s dripping with the kind of playfulness and whimsy that only makes sense to people for whom an ordinary lifestyle is simply unacceptable!